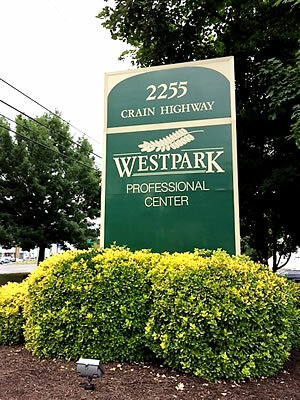 Westpark Executive Office Suites is a home for startups, marketing professionals, developers, freelancers, entrepreneurs, independent contractors and solopreneurs. 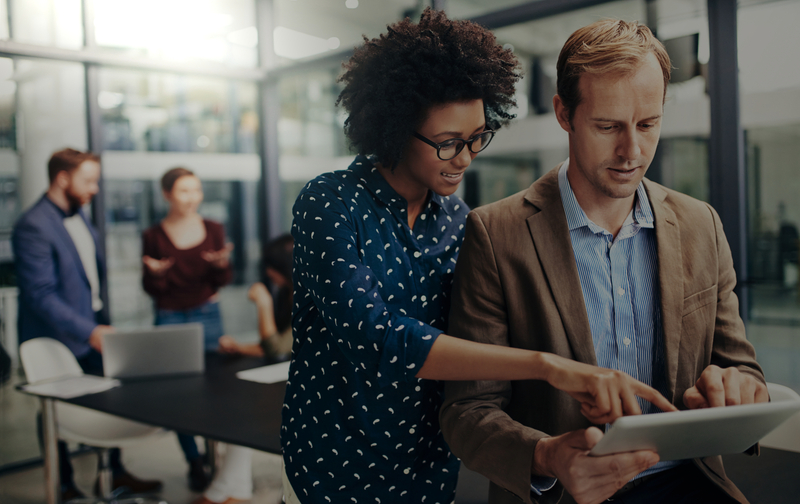 By providing you all-inclusive work space with energetic vibe, WestPark allows you to network with like minded professionals and focus on growing your business at a fraction of the cost of running an office. Choose from 6 different suites with windows for natural daylight. 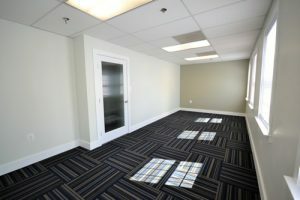 Offices can be configured for one or two person occupancy. 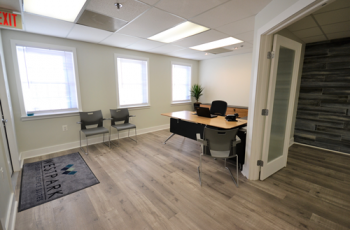 Fully furnished with modern ergonomic office furniture, access to printer/fax/scanner/copier, secure business grade fiber optic internet WiFi, mail service, communal kitchen with filtered water, coffee and tea provided. 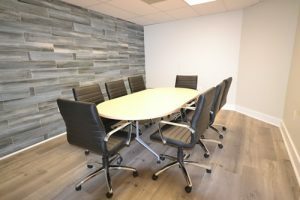 Conference room, all utility, cleaning and maintenance cost are included. 24/7 access. Choose from 3 different interior suites. 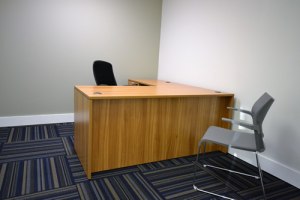 Offices can be configured for one or two person occupancy. 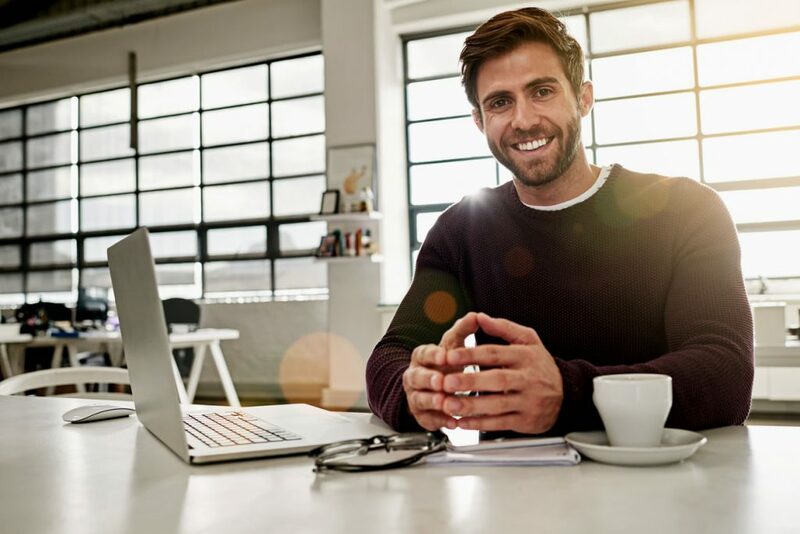 Fully furnished with modern ergonomic office furniture, access to printer/fax/scanner/copier, secure business grade fiber optic internet WiFi, mail service, communal kitchen with filtered water, coffee and tea provided. Conference room, all utility, cleaning and maintenance cost are included. 24/7 access. Our double window suite can be configured for a desk and a private meeting table or for multiple occupants. Located on the second floor, it is private, secluded with south facing windows for plenty of sunlight. 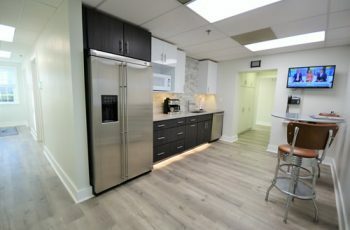 Fully furnished with modern ergonomic furniture, access to printer/fax/scanner/copier, secure business grade fiber optic internet WiFi, mail service, communal kitchen with filtered water, coffee and tea provided. Conference room, all utility, cleaning and maintenance cost are included. 24/7 access. 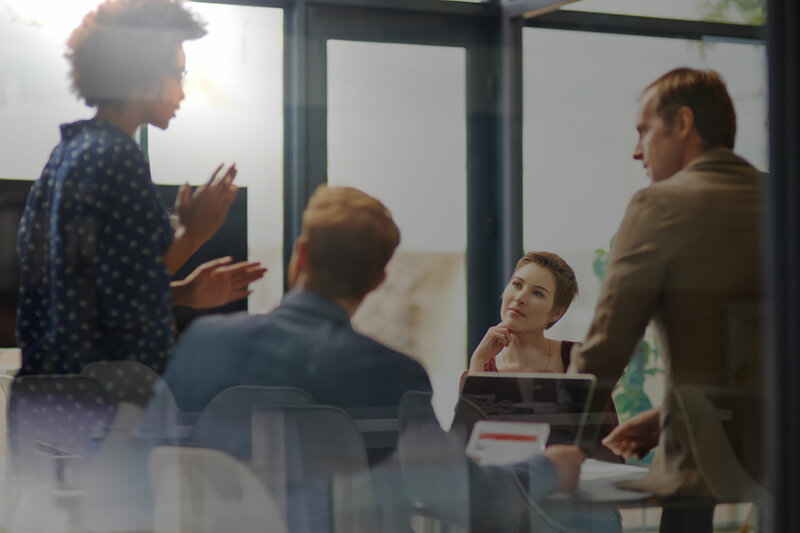 8 person conference room furnished with modern, comfortable furniture available for daily or hourly rental. 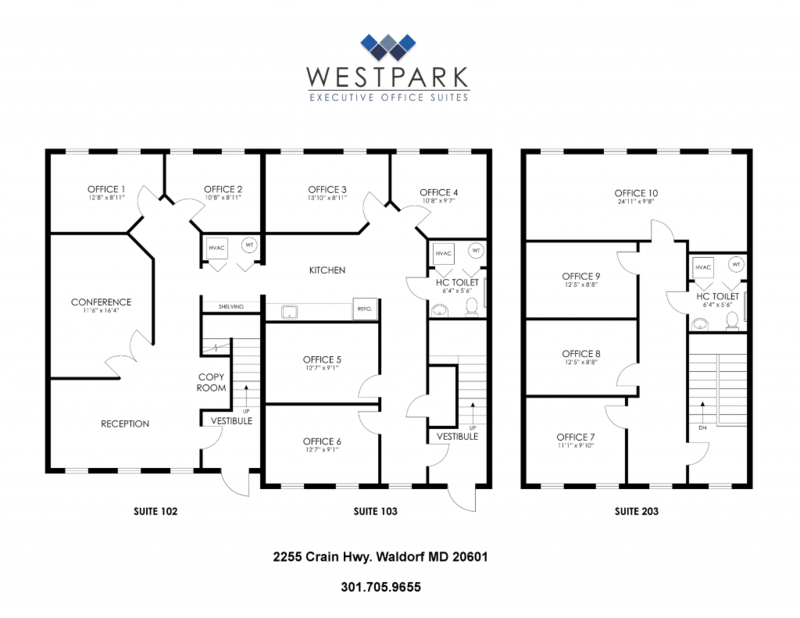 Located in a professional business park in north Waldorf, WestPark Executive Office Suites provides easy access to Rt.301/Rt.5. 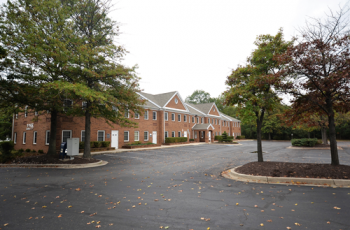 With plenty of parking for you and your guests, it is in the middle of the business district of Waldorf, close to restaurants and office parks.